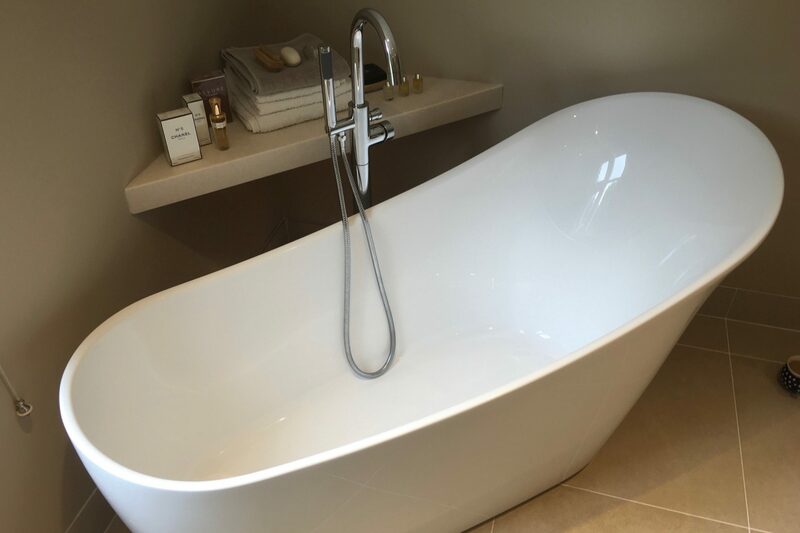 Here we have a stunning bathroom which we fitted in a lovely listed building. In this room we had to make lots of changes to accommodate Potts Ltd's design. To enter this room you had to step down from the master bedroom by way of a reduced height door. 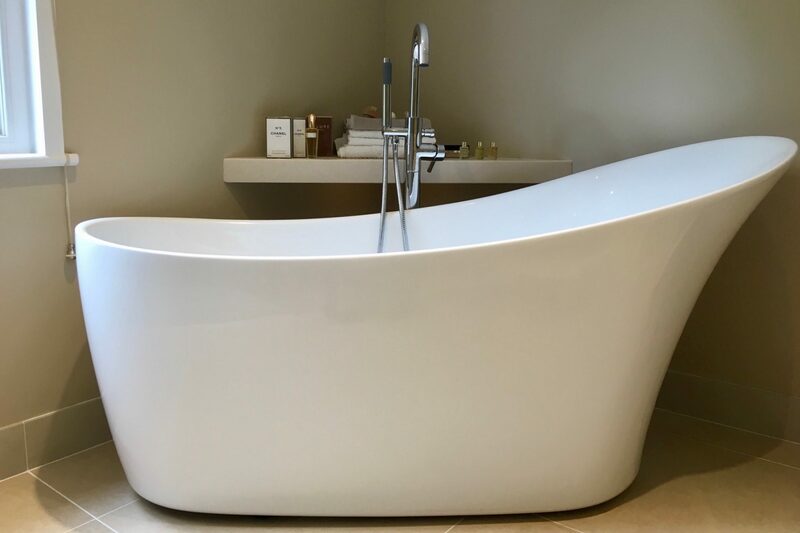 Being a listed building we had to construct a raised floor to achieve a level base for the walk in shower and the freestanding bath. The suite was Villeroy & Boch, the shower an Aqualisa iLux and the glass shower screen bespoke as we had a reduced height ceiling. The basin shelving was also bespoke. 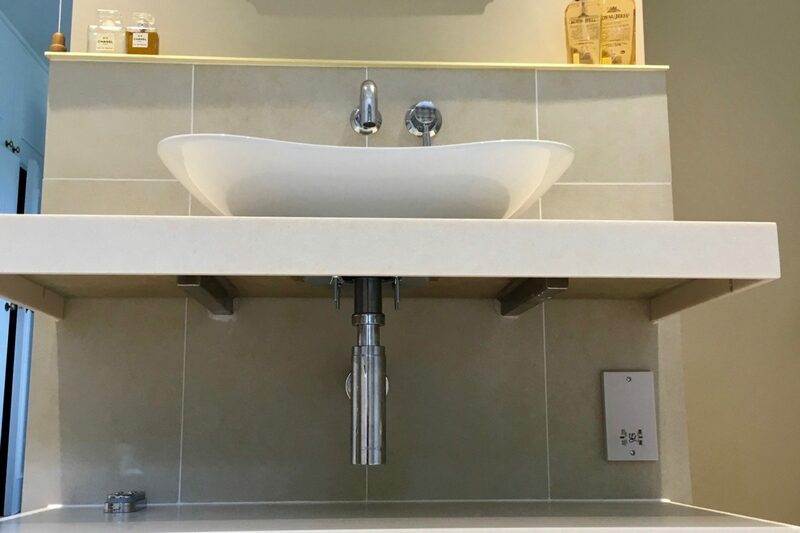 We had to fabricate brackets which were hidden within the wall to accept the Corian shelves and to take the weight of the basin. The room was half tiled and a glass shelf fitted to neatly cap off some boxwork. 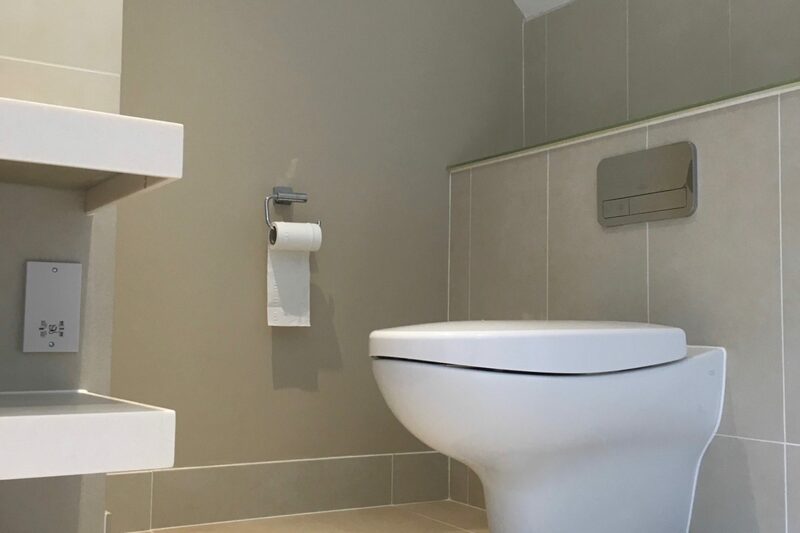 As you can see the customer chose a suitable coloured paint to compliment the tiles but also to tie in with the age of the property.